AGC and their iMIS partner, BroadPoint’s MemberPrime division, defined AGC’s data reporting and administrative requirements for an LMS that fit AGC’s business. In addition to hosting conference content online, AGC offers a unique blended learning approach for many of its courses, often having learners’ complete assignments online before they meet face-to-face in a classroom. This learning approach posed unique data integration problems that Web Courseworks’ CourseStage LMS was equipped to handle. BroadPoint's MemberPrime division and Web Courseworks worked together to provide a one-stop solution for AGC with CourseStage LMS. Due to the blended nature of AGC’s curriculum, Web Courseworks worked carefully to ensure that the data collected was fully integrated into AGC’s AMS. BroadPoint’s MemberPrime division implemented the iMIS Certifications module for AGC’s applicants. Then, the MemberPrime team created the commerce side for applicant payment and a workflow that moved the Enrollee to CourseStage LMS for learning upon purchase. Once credits are earned in CourseStage LMS, the integration writes that data back to iMIS, automatically updating the Enrollee’s profile with the credits earned for the certification. 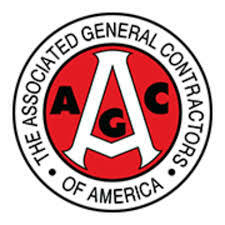 AGC’s learners are now able to successfully receive credits toward their Associated General Contractors of America accreditation. Learners are easily able to compile and access their learning transcripts, including information about courses they completed prior to their courses being hosted on CourseStage LMS. Instructors use CourseStage LMS to assign readings to groups who then meet face-to-face to discuss those readings. Instructors also use CourseStage LMS to record attendance during the face-to-face class sessions. Web Courseworks worked closely with AGC to ensure that CourseStage LMS’s features were best optimized for AGC’s blended curriculum, and AGC reports that it is thrilled with the results. MemberPrime is an award-winning division of BroadPoint, a business and technology consulting firm dedicated to helping mid-size companies solve complex business problems. MemberPrime is focused on helping associations and nonprofits extend and accelerate their iMIS systems to better serve their members. Learn more at www.memberprime.com.